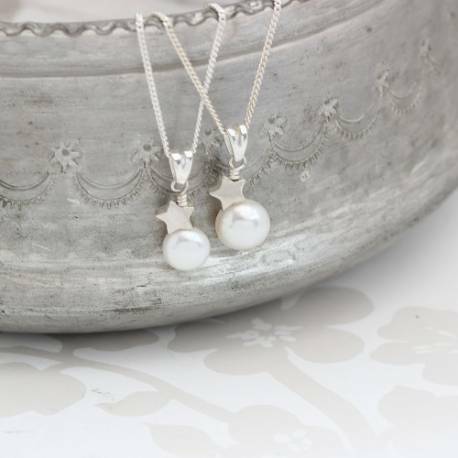 The necklaces have a single freshwater pearl in white and a sterling silver star handwired onto a sterling silver bail and hung from a sterling silver link chain. 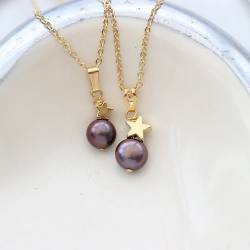 The chain has a silver extension chain so the shortest length is 16"/ 40cm but it extends upto 18"/ 45cm.There is also a 14"/35cm length option for children. 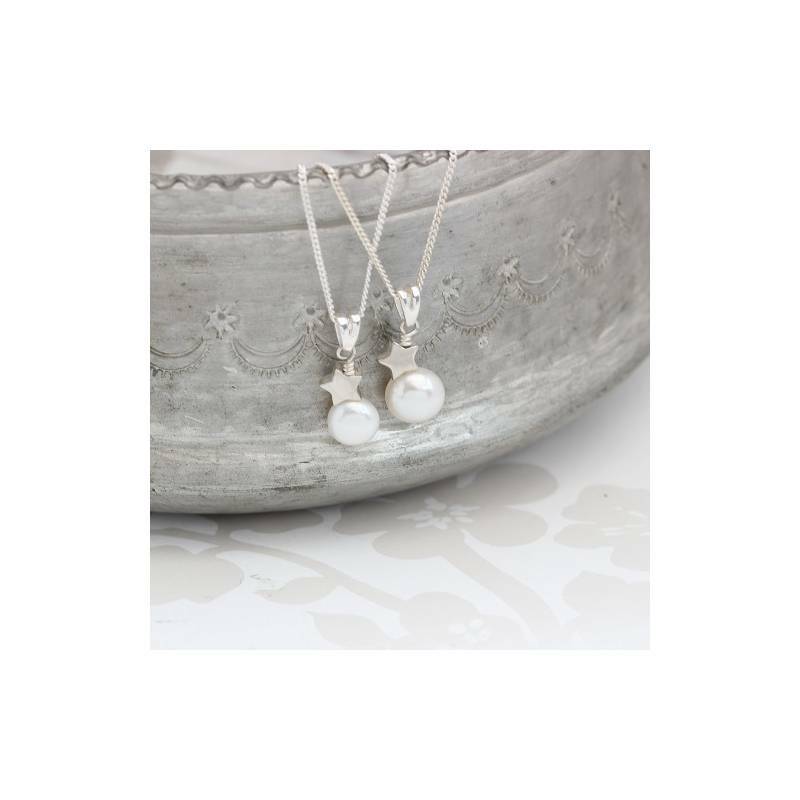 The pearl in the adults pendant is approx 9mm and in the childs approx 7mm. 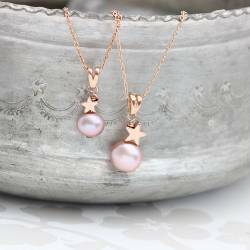 The stars are both 6mm.